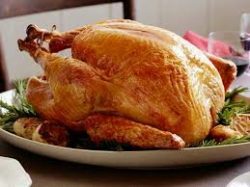 When I was 12 years old, Dad entered me in a local turkey shoot. I was in a group of youngsters ages 11-14 and as I remember there were about 6 or 7 shooters. 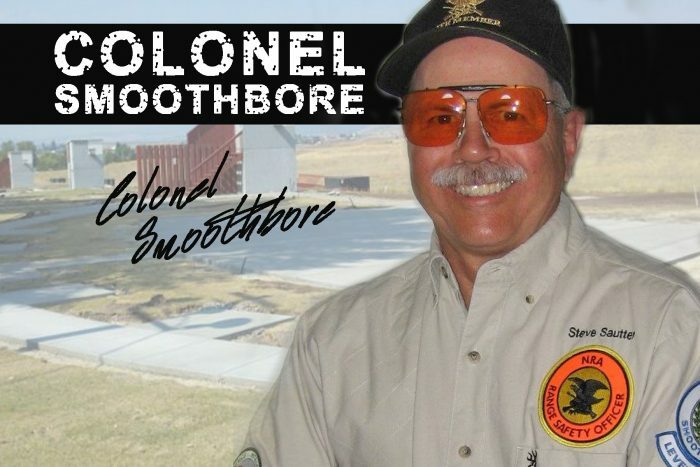 This was a .22 rimfire rifle contest and I used my Marlin® Model 39 Mountie. This lever gun has a U notch rear sight and a ramped front sight with a gold bead. We each took one shot at the small NRA bullseye target and after the first round I was tied with an older boy. The two of us engaged in a shoot-off that lasted quite a while. He was shooting a very nice Anschutz target gun with exceptional sights. We both hit the X-ring for several rounds; then on the seventh shot, I jerked the trigger on my little Marlin® and missed the X-ring. He got the turkey, but I was really proud of my efforts and the fact that I and my gun were able to compete with an experienced shooter and a very expensive target rifle. Today, my eyes aren’t what they were then and my beloved Model 39 wears a Bushnell® variable scope that is just a bit younger than my 59 year old gun. Many new rifles are not equipped with any sights; they are drilled and tapped for scope mounts. However, “iron” or “open” sights are still the standard for many new rifles and nearly all handguns. We’ll discuss shotgun sighting systems in a later column. Iron sights are rugged, reliable, and fairly simple to use and I suspect they will be with us for a very long time to come. The basic configuration for iron sights is a rear sight on the receiver or the back of the barrel and front sight mounted near the muzzle. 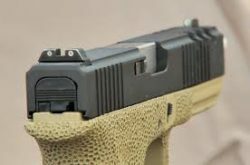 There are only a couple of types of rear sights; most commonly, notched and aperture or “peep” sights; “peep” referring to the small hole that one looks through to align the front sight with the target. Rear notched sights usually take one of three forms; U-shaped, V-shaped, or a square notch as originally designed by E.E. Patridge. 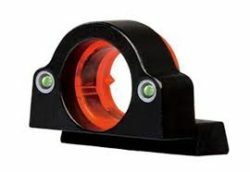 Aperture sights are composed of a disc with a hole in the center whereby the shooter looks through the hole at the front sight and aligns it with the target. The aperture may be adjustable for size or may also be a “ghost” ring style that seems to disappear when the shooter focuses on the front sight. 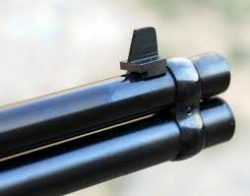 Some rear sights are securely fixed to the gun and are not adjustable, some are adjustable for elevation or windage only, and most target aperture sights are adjustable for both. Most military rifles use some form of aperture sights. 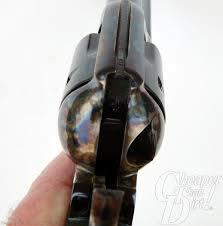 The rear sights on many small CCP pistols are nothing more than a groove on the rear top part of the frame. 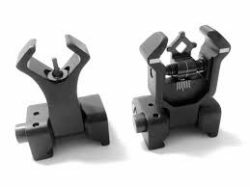 Most iron front sights are mounted on a ramp or pedestal secured to the muzzle end of the barrel by a dovetail, a screw, or soldering. Fronts sight forms include a blade, a bead, a post, or in the case of many target sights, a small globe. Fiber optic filaments are quite commonly used on newer guns. 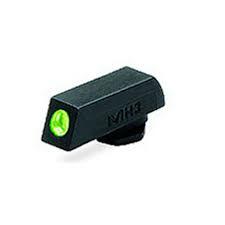 These gather light and present the shooter with a bright front sight that is easily picked up by the eye. 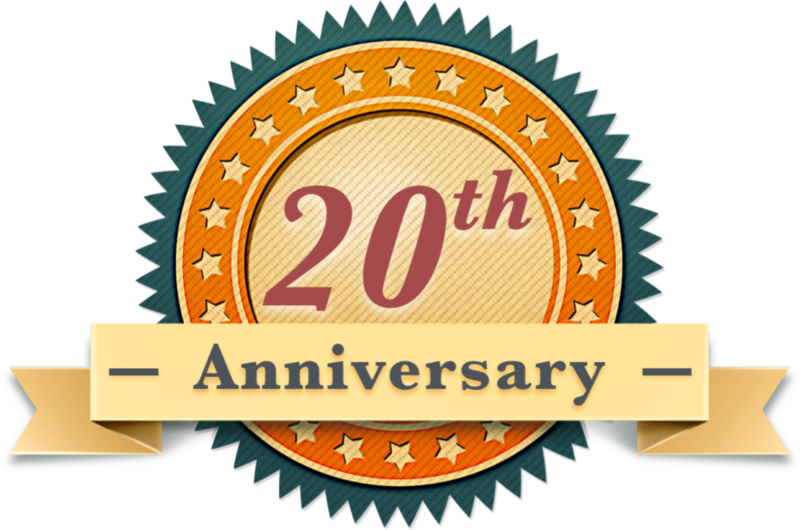 I, like many of my peers, have suffered vision loss as I have aged; in my case my eyesight has gotten rotten. I struggle somewhat when I use open sights. 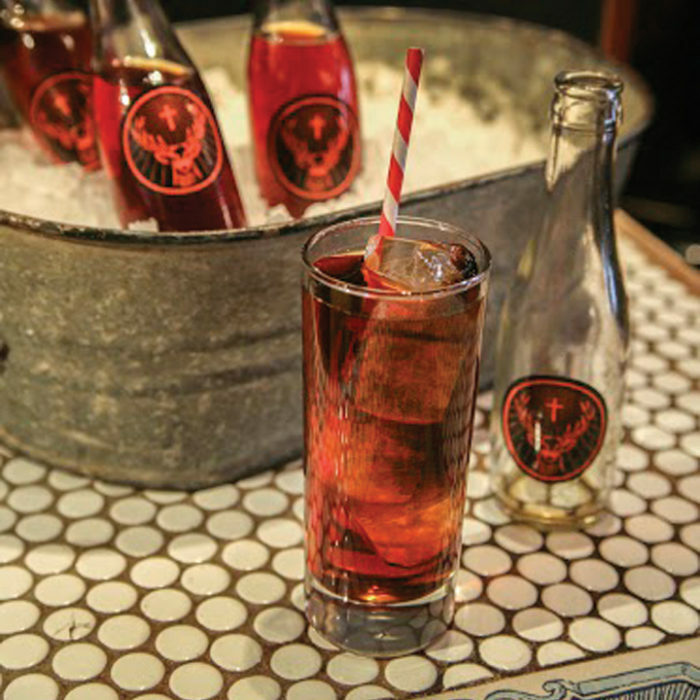 But there are a few remedies for us old guys. I have equipped my competition handguns with fiber optic front sights, these really help me pick them up. I have several pistols with 3-dot setups and I find they really help me see the sights quickly. 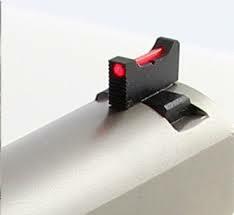 Another option for CCP are tritium powered sights. These radioactive sights, “glow in the dark,” providing the user with the ability to accurately fire at night. While all of my rifles are scoped, on occasion, I shoot my little lever .22 using the iron sights; doing so reminds of the turkey that got away and the so very fun time I had in my first shooting competition.